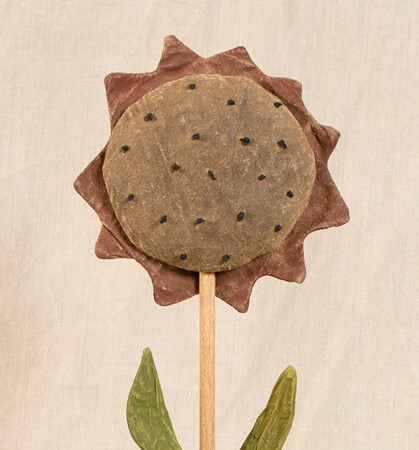 The Finial Sunflower stands proudly at more than two feet tall. Shown here with rusty red fabric petals, you can also order yours with golden yellow petals if you prefer. Please specify color when ordering. Wooden base style may vary.